Crying, drooling, the excessive need to gnaw on things… yes, it’s about that time: Your baby could be teething! During this exciting time, you may find that your child’s pearly whites are starting to emerge. You may also notice a change in behavior, appetite, and habits in your baby due to how he or she handles the incoming teeth. So, what can you expect and do to prepare to help this process move along as smoothly as process? First, it’s important to educate yourself on what exactly happens when your child teethes and the timeline associated with that. On average, your baby will begin teething around 6-8 months old; however, each child may experience teething differently and can start the process anywhere between the ages of 3 and 12 months old and depending on various factors such as genetics or premature birth. 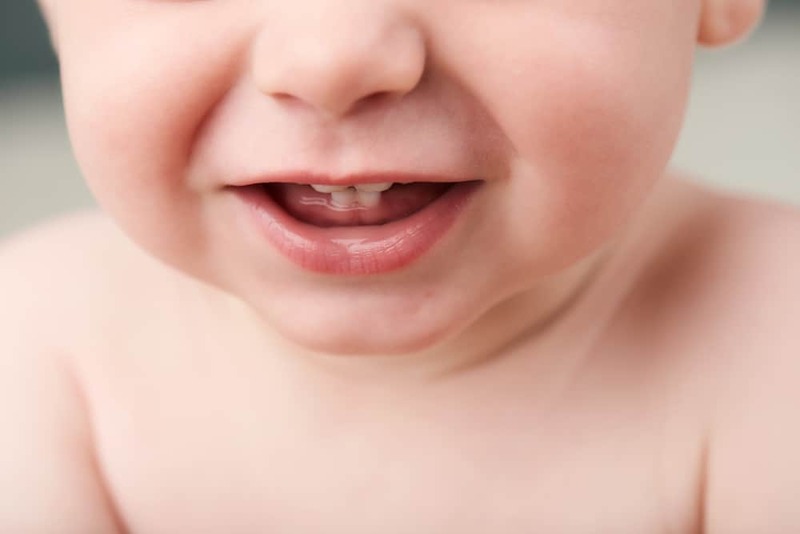 By the age of 3 years old, your baby will have developed 25 different primary teeth: Central Incisors, Lateral Incisors, Canines, First Molars, and Second Molars. When the teeth begin to emerge, your baby may experience pain and discomfort. To remedy some of this pain, it’s best to first consult your baby’s pediatric dentist. In addition, over the counter medications such as acetaminophen or children’s ibuprofen can help against pain and discomfort. The teething process doesn’t last forever, but you’ll want your sweet angel in the most comfort possible! Even if you do not have insurance, we can still be of assistance in this time of need. Note that if you do have any type of health insurance, we will be more than happy to run it to see if there is any type of dental coverage. When looking for the best Raleigh pediatric dentist, look no further than Triangle Pediatric Dentistry. If you live in North Raleigh, Wake Forest, Louisburg, Franklinton, Henderson or any of the towns in the northern part of Wake County do not hesitate to reach out to us today. We have an office location that is convenient to you. We will also do our best to assist you with any concerns you may have via a telephone call or email. Most of the time, we will need to do an examination on the patient to give the best possible prognosis. There are times when we will have to administer X-Rays to see exactly what is going on.